We are in the center of Paris, in an elegant apartment building inhabited by bourgeois families. Ren?e, the concierge, is witness to the lavish but vacuous lives of her numerous employers. Outwardly she conforms to every stereotype of the concierge: fat, cantankerous, addicted to television. Yet, unbeknownst to her employers, Ren?e is a cultured autodidact who adores art, philosophy, music, and Japanese culture. With humor and intelligence she scrutinizes the lives of the building's tenants, who for their part are barely aware of her existence. Then there's Paloma, a twelve-year-old genius. 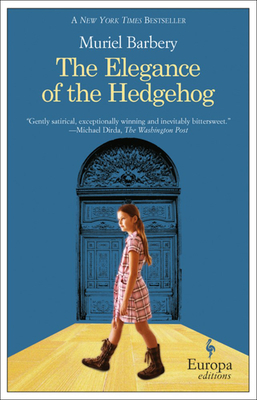 She is the daughter of a tedious parliamentarian, a talented and startlingly lucid child who has decided to end her life on the sixteenth of June, her thirteenth birthday. Until then she will continue behaving as everyone expects her to behave: a mediocre pre-teen high on adolescent subculture, a good but not an outstanding student, an obedient if obstinate daughter. Paloma and Ren?e hide both their true talents and their finest qualities from a world they suspect cannot or will not appreciate them. They discover their kindred souls when a wealthy Japanese man named Ozu arrives in the building. Only he is able to gain Paloma's trust and to see through Ren?e's timeworn disguise to the secret that haunts her. This is a moving, funny, triumphant novel that exalts the quiet victories of the inconspicuous among us.